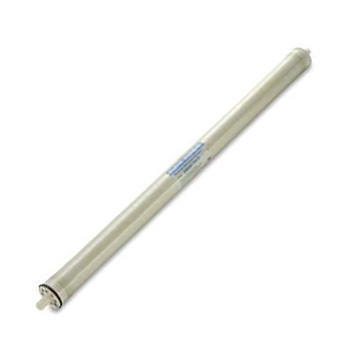 DOW Filmtec SW30-2521 Seawater Reverse Osmosis Membrane, a 2.5" x 21" RO membrane element that can provide RO quality water of up to 300 gallons per day at a 5% recovery rate. It can operate at feed pressures ranging from 800 psi to 1,000 psi with 99.4% salt rejection. 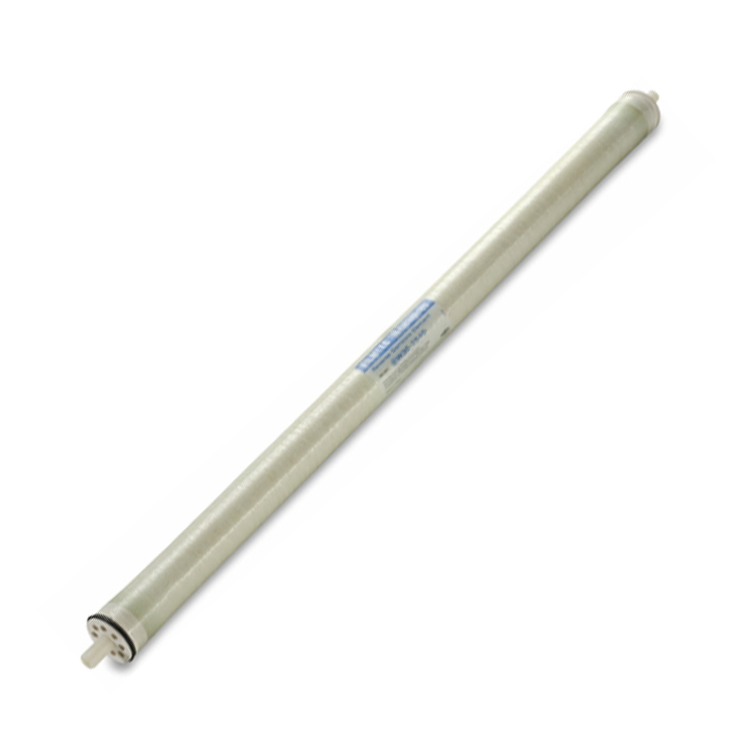 This Seawater RO element is ideal for use in small-sized desalination systems that produce less than approximately 10 gpm (2300 L/h) of permeate.The SW30 membrane element offers the highest quality water output from seawater and highest productivity while maintaining excellent salt rejection. This reliable performance is the result of improved membrane combined with automated, precision element fabrication. The SW30 Elements have one of the highest flow rates available to meet the water demands of both sea-based and land-based desalinators. SW30 elements may also be operated at lower pressure to reduce pump size, cost, and operating expenses. This product is best for seawater desalination and marine(yacht) applications. 1,000 psi max operating pressure. SW30 elements provide longer life due to high cleanability. High Salt rejection for high quality permeate. High flux reduces energy used and pressure required. Good rejection provides good water quality. Dow Filmtec performance and quality. * Permeate flow rate and salt rejection based on the following test conditions: 32,000 ppm NaC, 800 psi(55 bar), 77°F(25°C), 5% recovery rate. Permeate flow rates for individual elements may vary +/- 20%. **Maximum temperature for continuous operation above pH 10 is 95°F (35°C). *** Under certain conditions, the presence of free chlorine and other oxidizing agents will cause premature membrane failure. Since oxidation damage is not covered under warranty, Dow recommends removing residual free chlorine by pre-treatment prior to membrane exposure. Most RO systems have carbon pre-filters for this purpose. - Proper start-up of reverse osmosis water treatment system is essential to prepare the industrial membrane elements for operating service and to prevent membrane damage due to overfeeding or hydraulic shock. - Before initiating system start-up procedures, membrane pretreatment, loading of the membrane elements, instrument calibration and other system checks should be completed. - The use of this product in and of itself does not necessarily guarantee the removal of cysts and pathogens from water. Effective cyst and pathogen reduction is dependent on the complete system design and on the operation and maintenance of the system. - During prolonged system shutdowns, it is recommended that the Dow Filmtec membrane elements be immersed in a preservative solution. This is to prevent biological growth.